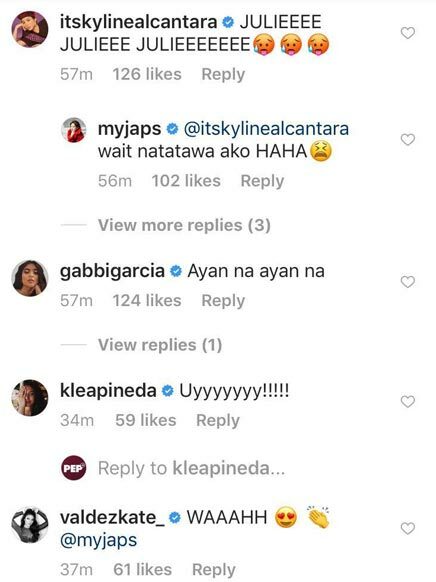 Julie Anne San Jose channels Kylie Jenner with new swimsuit photo. True to the popular summer slogan, Julie Anne San Jose showed off her toned physique in a pink strappy swimsuit. Julie Anne completed her sporty beach look with a pair of chunky sneakers and a sun visor hat. 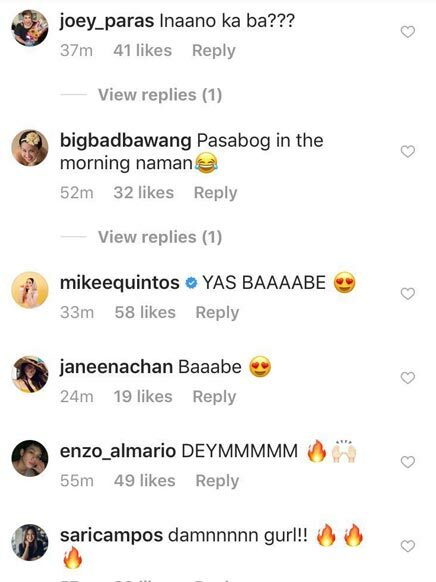 Her Instagram caption read, "Tis the season [sun emoji]"
GMA-7 actresses Kyline Alcantara, Gabbi Garcia, Klea Pineda, Kate Valdez, and Mikee Quintos were quick to comment about her sexiness, sending Julie Anne some good vibes. This wasn't the first time Julie Anne flaunted her toned body on Instagram. The singer-actress began anticipating the bikini season back in February when she wore a revealing sunbathing photo.